Governments must not chop and change their political support for renewable energy, which by 2020 will generate more electricity that the combined demand of China, India, and Brazil, the International Energy Agency (IEA) has warned. Renewables had great promise to mitigate climate change and boost energy security, the IEA said in a report launched today. The sector’s growth will be driven by falling costs and aggressive expansion in emerging economies. It will be the largest single source of electricity growth over the next five years, topping 700 gigawatts, more than double the power capacity of Japan. The share of renewable energy in global power generation will rising to more than 26% by 2020, 3% up on 2013’s 22%. The IEA said it will be a remarkable shift in a very limited time period. China alone will account for nearly 40% of total renewable power capacity growth and requires almost one-third of new investment to 2020. “Governments must remove the question marks over renewables if these technologies are to achieve their full potential, and put our energy system on a more secure, sustainable path,” he said at the G20 Energy Ministers Meeting in Istanbul. “Renewables are poised to seize the crucial top spot in global power supply growth, but this is hardly time for complacency,” Birol said. Several EU governments have changed their levels of support for renewables. In particular, retroactive cuts in subsidies have scared off investors. In Spain, the most notorious EU example, cuts to wind and solar subsidies after the financial crisis damaged the sector badly. 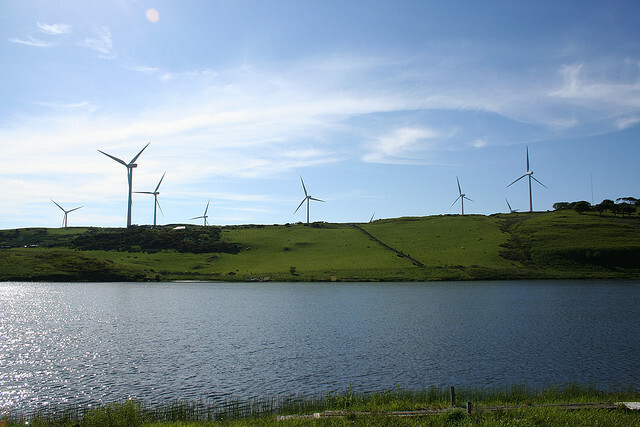 Spain has the second largest onshore wind capacity in Europe. In 2013, it installed nothing in wind and last year, it installed just 27 megawatts – less than the Ukraine, including Crimea. The UK government earlier this year cut onshore wind and solar support. It’s been reported that offshore wind subsidies could also be for the chop. Growths in Bulgarian and Romanian renewables were stymied by the removal of feed-in tariffs and the imposition of grid connection costs. Meanwhile the European Commission has recommended that member states move to end feed-in tariffs and shift to a market based system of tendering auctions and feed-in premiums. The European Wind Energy Association (EWEA) said that consistency of policy support from governments was vital. “If a government has to make a change, the industry and investors need to have a plenty of forward notice. And don’t move the goalposts after kick-off,” said Oliver Joy, EWEA spokesman. The IEA highlighted the upcoming UN Climate Change Conference (COP21) in Paris as a chance for leaders to send investors a clear signal of support. “A clear, supportive outcome from the COP21 climate negotiations in Paris in December could create a virtuous cycle for renewable deployment by increasing long-term policy vision and predictability,” the IEA said. Andres Jaadla (EstoniaT/ALDE), member of Rakvere City Council and European Committee of the Regions' rapporteur on "EU environment law: improving reporting and compliance" said, "The promotion and development of the renewable energy industry is vital to curb reliance on energy imports and therefore achieve our energy security objectives. This means we must promote and facilitate decentralised energy production and invest in local and regional smart grid projects, as well as push for much higher binding energy efficiency and EU energy saving targets". The International Energy Agency is an organisation that works to ensure reliable, affordable and clean energy for its 29 member countries and beyond. Founded in response to the 1973/4 oil crisis, the IEA’s initial role was to help countries co-ordinate a collective response to major disruptions in oil supply. While this remains a key aspect of its work, the IEA has evolved and expanded. It is at the heart of global dialogue on energy, providing authoritative research, statistics, analysis and recommendations.